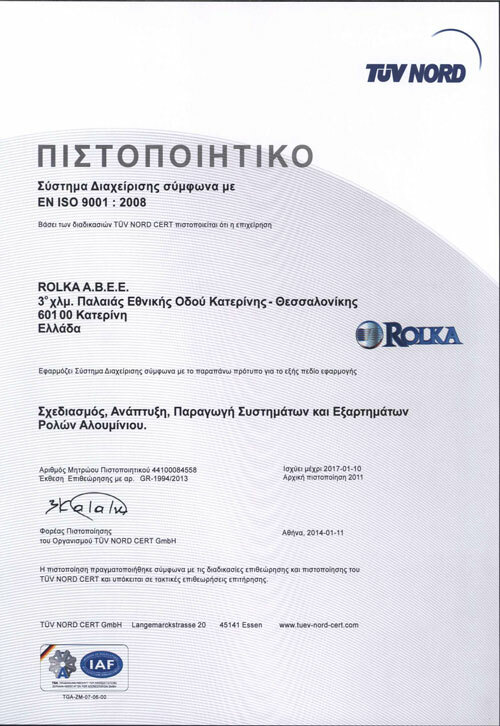 Rolka S.A. aims at producing high quality products certified by acclaimed international organizations in order to satisfy its customersΆ every request. It keeps up-to-date with all the latest developments in the field of aluminium and constantly strives to improve its products. Constant control of the production process as well as implementing the ISO 9001:2008 Quality Assurance System and quality controls by certified organizations (IFT ROSENHEIM etc.) ensure that ROLKAΆ s products are of the highest quality and retain their excellent function for a very long period of time. 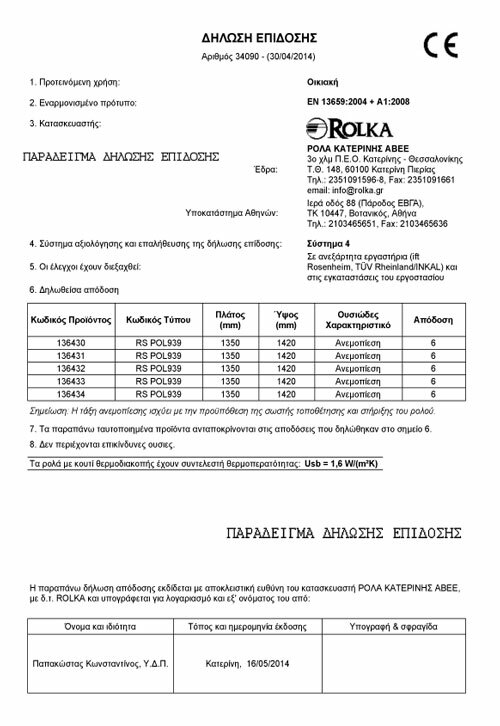 In compliance with the orders of the European Union and the requirements of the EN 13659:2004+A1:2008 model, ROLKA conducts regular production controls inside the factory (Factory Production Control – FPC). These controls fully meet the requirements of the 305/2011/EE European regulation and are a prerequisite in order for the companyΆs products to be certified by the CE marking. The unique number of each declaration. 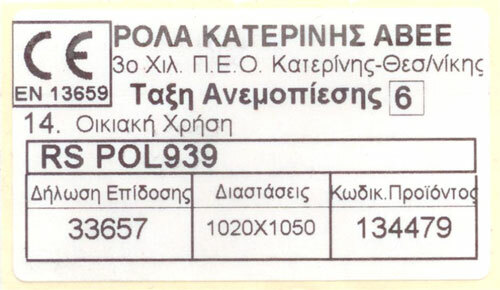 The unique number of the product code as well as the code of the product type. The essential characteristic (wind pressure) based on which the quality controls were conducted. Product performance based on its dimensions and the system to which it belongs. The CE marking is affixed to the interior of the packaging, where all the characteristics mentioned in the Declaration of Service are also recorded.